Officially they are the Naval Construction Force, but most know them as the Seabees. They build in places that others would never go and at times that many would attempt to avoid. If the job site is remote, difficult or would tax the resources of a normal contractor, these guys get the job. They are not combatting troops per say, they just battle the challenges of construction in combat-style conditions. Having the right tools at their disposal is critical to the performance of their orders. This is the very reason that Naval leadership has ordered eight Cart-Away Concrete CUBE’s for field-testing. 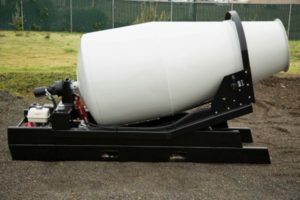 Because concrete is a foundational material for most construction projects, the Seabees need rugged production equipment to perform in the worst of conditions. 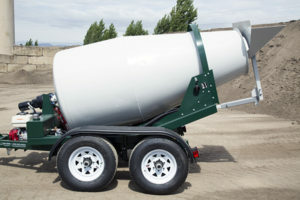 The Navy is betting that these portable concrete mixers will do the trick. 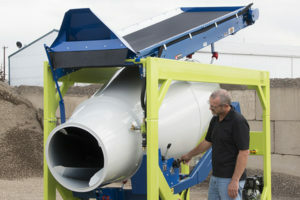 The special 1-1/2 cubic yard concrete batching systems will be assigned to the elite Seabee Readiness Groups that are located in Port Hueneme, California, and Gulfport, Mississippi. These construction groups provide support to the Naval Commanders, the First Naval Construction Regiment, the Ninth Naval Construction Regiment, the Thirtieth Naval Construction Regiment and other Naval Construction Forces. 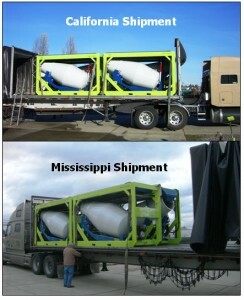 From their bases in the US, they are deployed with their mixers and other tools to sites around the world. But they don’t just build things to support military operations, they do much more. While they are working in a given area they will construct many humanitarian projects as well. Some examples of recent projects include the Palikir Elementary School, which serves more than 600 students from early childhood education to eighth grade and provides primary education for the residents of central Sokehs, the capital of Federated States of Micronesia. In Pakistan, the Seabees constructed the Musa Qal’eh low water crossing by producing and placing over 200 prefabricated reinforced concrete pieces, with some weighing as much as 20,000lbs. 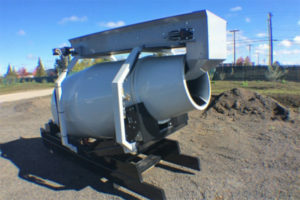 We are proud to be able to provide robust concrete mixing units for the brave men of our armed forces. We know that the concrete produced using the Cart-Away CUBEs are making safer structures and improving the quality of life in the developing nations. Thank you Seabees for all that you do!